I am now the proud keeper of one small bee hive. Here we are taking our first look at the ladies. 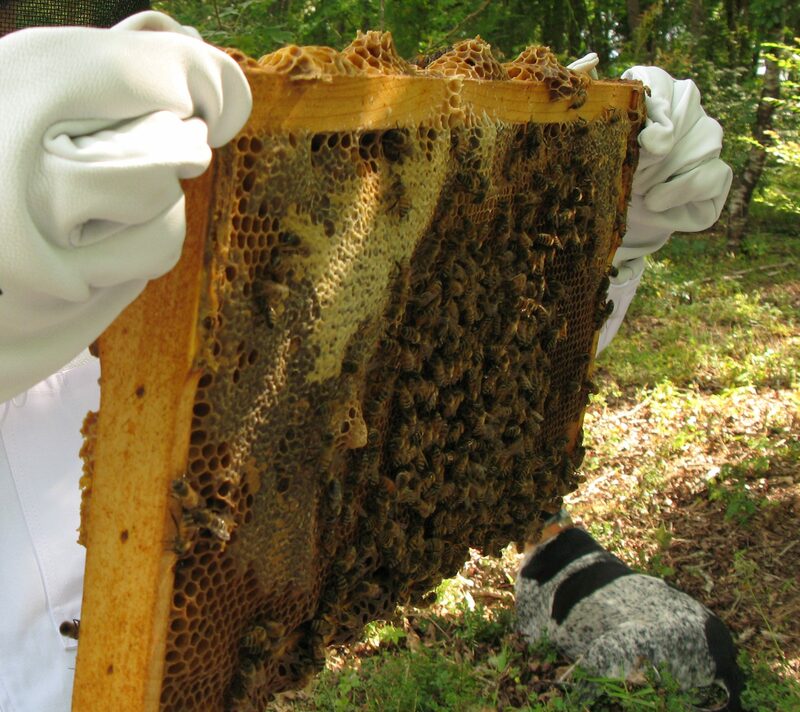 In one hive there are between 20,000 and 60,000 bees. There’s only one queen, who lays over 1,000 eggs each day. The vast majority of the bees are female workers with only a few lazy males permitted to hang around. The honeybee is a eusocial insect. They have a division of labor withing the hive and several ways of communicating with each other. 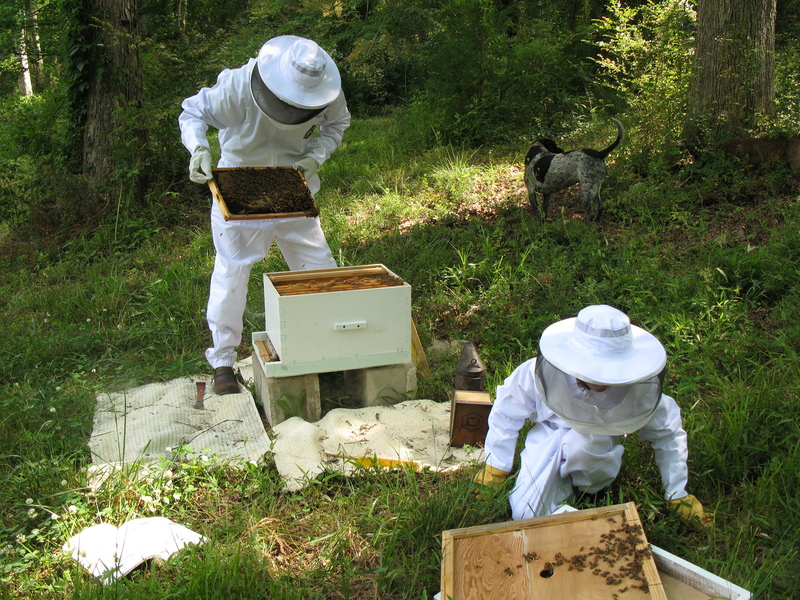 They are also fastidiously clean and keep everything sanitary within the hive. Honeybees are so interesting I just can’t wait to learn more about them. Unfortunately, these small friends who produce HONEY and pollinate nearly every fruit, vegetable and nut we eat, have had a rough time lately. They are attacked from all sides, suffering from mites, diseases, beetles, and bringing home poisons from plants which have been sprayed with pesticides. Although there’s not much we can do about the presence of mites and beetles except manage them the best we can, there IS something we can all do to help our honeybees. Stop spraying pesticides (they kill insects), and shop for organic produce whenever you can. Think about the whole system when you look at your garden, back yard or local park. None of it works without pollinators. Bees and other beneficial insects need a variety of flowers to provide nectar and pollen throughout the growing season. Bees have been working for us forever, maybe we could help them out as well. My husband caught me watching cooking shows… again. 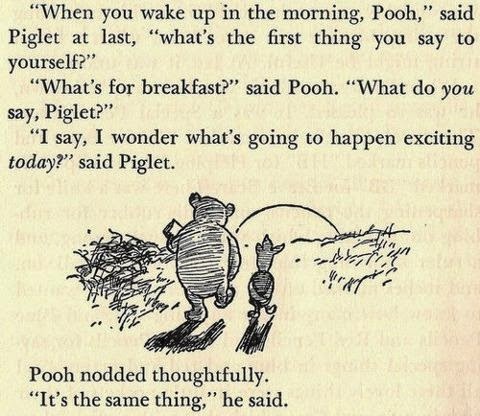 It’s my favorite lazy Saturday afternoon activity. I have a notebook filling up with scribbled recipes and instructions television. Sometimes, no: often these recipes come in handy and turn out great! This pie is what he chose for his birthday this year and it was a delicious success. Pulse in food processor til it holds together when you squeeze it in your hands. Divide and shape into two discs, wrap well in plastic and chill until ready to use. To blind bake: roll out the pie dough and fit it into the pie plate. Line the unbaked pie shell with foil or parchment paper and fill with dry beans or pie weights. Bake at 375 for 25 minutes. Remove the weights and foil and bake an additional 10 minutes or until golden brown. Let the crust cool. Pour the custard into the cooled pie shell and chill until ready to serve. 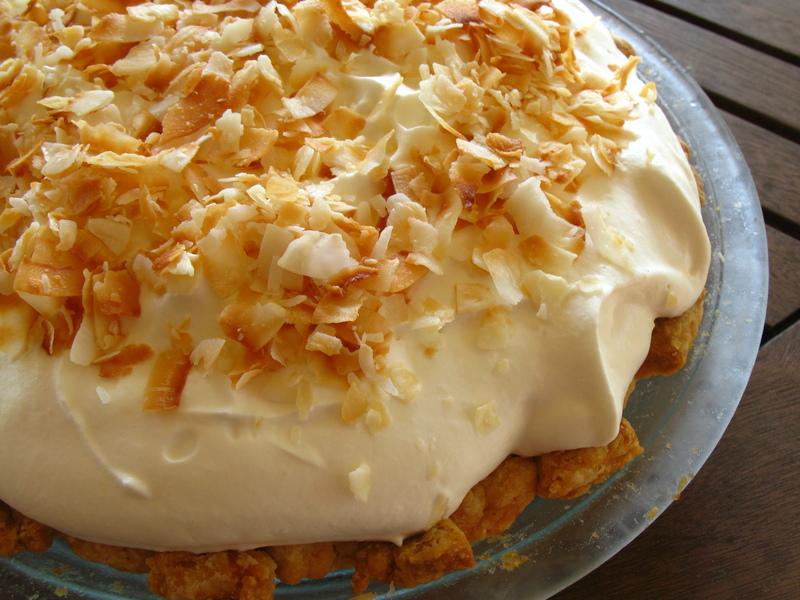 Top the pie with freshly whipped cream and some coconut toasted lightly in the oven. Beautiful! This custard was easy to make – don’t be scared! 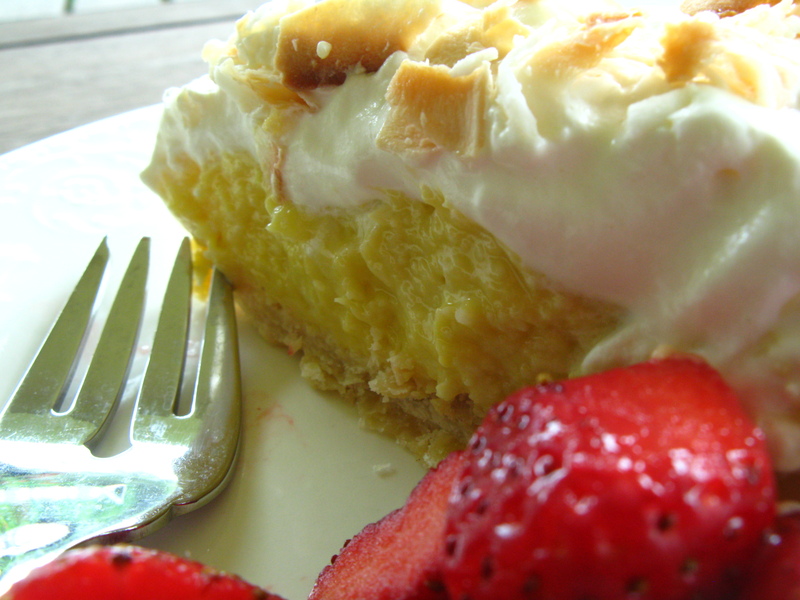 This pie feels really decadent but is pretty low in sugar and downright healthy compared to anything you could buy. I’ve been blogging since January 2011 on a Typepad site under the name Sweetie Pie. It’s been a rewarding journey through baking, cooking, recipes and ingredients. Thank you to everyone who has followed along. I have not figured out/been brave enough to try to move the blog to a new location, so I’m just starting from here. I have over 6 years of posts and lots of recipes on Sweetie Pie, so please click through and check it out. Moving forward, the focus will remain on food and I’m sure I’ll have lots of baking recipes because that’s what I love. However, I’d like to include some posts about healthy living and information about diet, exercise and maybe even yoga. I believe that anything you make or bake at home is healthier, more nutritious and more delicious than anything you can buy ready-made. We can control the quality of the ingredients and adjust the amounts of sugar, salt and fat. Baking and cooking at home brings more than just good food to your house – time in the kitchen brings friends and it brings LOVE.